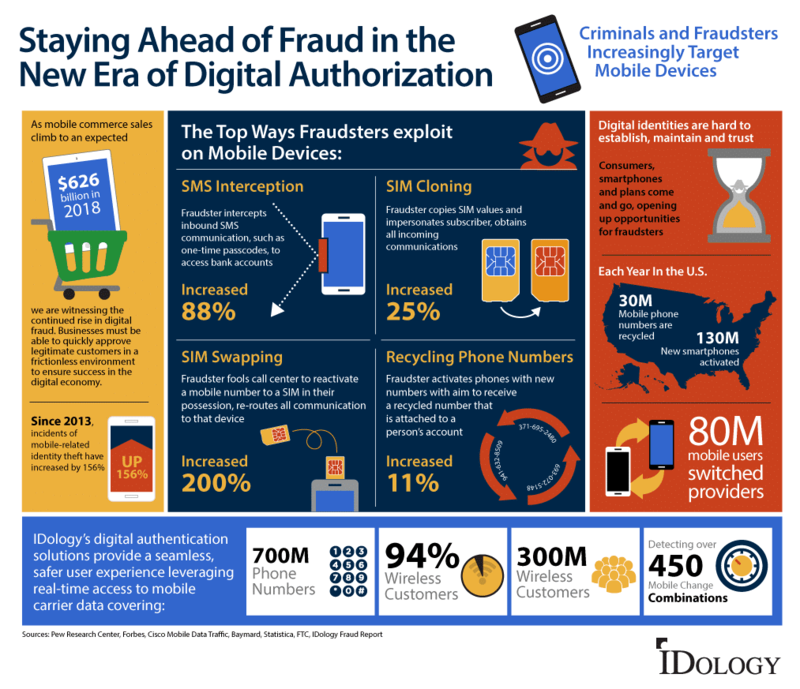 As mobile commerce sales climb to an expected $626 billion in 2018 we are witnessing the continued rise in digital fraud. Businesses must be able to quickly approve legitimate customers in a frictionless environment to ensure success in the digital economy. 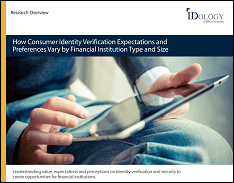 This infographic contains insights into the challenges of the mobile landscape for authentication and customer experience. 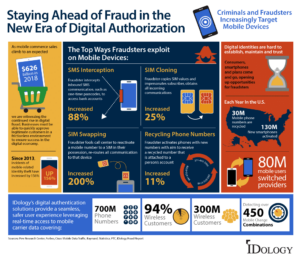 IDology’s Digital Authentication solutions provide a seamless, safer user experience leveraging real-time access to mobile carrier data to help improve customer authentication and fraud prevention.